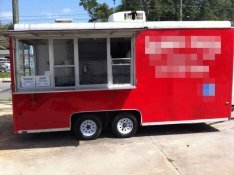 Bring the full force snack attack when you start a street food business with this NSF stamped 2.8' wide and 5.2' long hot dog / food vending cart! 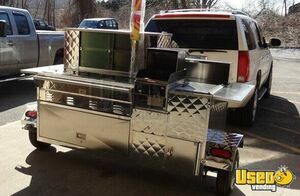 More details and features of this mobile food unit below. 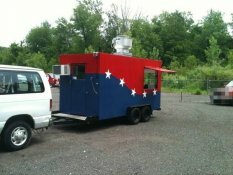 Cart Concepts Hot Dog / Street Food Vending Cart for Sale in Massachusetts! 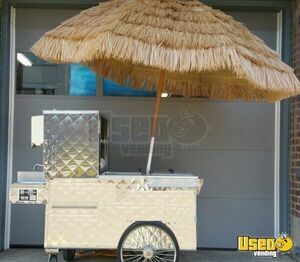 Shiny and clean, it's a money machine - this is a 2005 Cart Concept Model 725 deluxe food / hot dog vending cart. 84" x 90"; Cart weighs 900lbs. 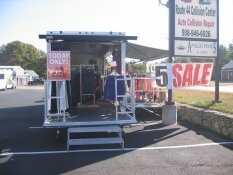 2.5' x 9' Hot Dog Pushcart for sale in Massachusetts!!! 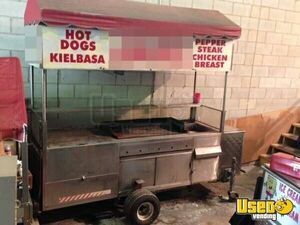 For sale in Massachusetts - This Hot Dog Pushcart is fully self contained. In very good condition. See details below. Thank you so much for helping me find a trailer that satisfied me needs. Thank you so much for helping me find a trailer that satisfied me needs. I would recommend you to other people. Once again I really appreciate your help. ...outstanding in the way you helped me to to buy my concession truck. Hi Traci, I just want to thank you for all your help,you were outstanding in the way you helped me to to buy my concession truck. I will let anyone know who is looking for a food truck, to use your company. thank you again. We had a great experience dealing with UsedVending and they found a buyer fairly quickly. I have high marks for UsedVending and its staff. 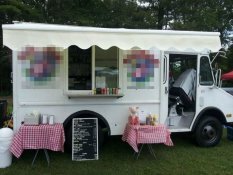 I would like to let everyone know how helpful Melissa from Used Vending has been to work with on selling one of our food trucks. They handle everything from setting up the profile and ad to finding the buyer. We had a great experience dealing with UsedVending and they found a buyer fairly quickly. 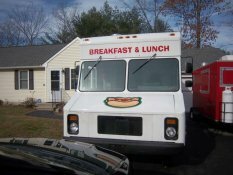 The buyer just came, quickly looked over the truck, and drove off with the food truck due to how well everything was advertised and questions that could be asked before the sale. UsedVending dealt with all the offers and paperwork trying to get the food truck sold for us. I would highly recommend Used Vending to anyone trying to sell their food trucks.